Br J Cancer, 2018, 118(4):509-521. Fludarabine purchased from Selleck. ERK signaling regulates STAT1 phosphorylation, and pSTAT1 modulates MHC II expression in the spinal cord under BCP conditions. AG490 (5 μg in 10 μL), Fludarabine (10 μg in 10 μL), or U0126 (5 μg in 10 μL) was intrathecally injected into cancer-bearing rats once a day for 14 days, beginning immediately after carcinoma cell inoculation (n = 3 in each group). (A) Representative western blot showing pSTAT1ser727, total STAT1, pERK42/44, total ERK42/44, CIITA, MHC II RTIB, and b actin protein levels in the spinal cords of BCP rats. Brain Behav Immun, 2017, 60:161-173. Fludarabine purchased from Selleck. Imatinib mesylate (IM) in combination of fludarabine phosphate (F-AMP) significantly inhibits Ki67 and c-KIT expression in GIST-T1 tumor xenografts. Tumors were collected on the day after the last treatment and were then subjected to immunohistochemical detection of Ki67 and c-KIT expression. Representative images of immunohistochemical staining of Ki67 and c-KIT in mice tumors. Mol Cancer Ther, 2014, 13(10): 2276-87 . Fludarabine purchased from Selleck. Normal human KC pretreated with STAT1 inhibitor (fludarabine [10 uM]) or STAT3 inhibitor (STA-21 [2 uM]) for 24 h. The mRNA levels of hBD2 and hBD3 were assessed by qRT-PCR. Mol Cell Biol 2014 34(24), 4368-78.. Fludarabine purchased from Selleck. Bacterial infection in IPEC-J2 cells. The invasion and attachment of EHECO157:H7 was increased in the IPEC-J2 cells in the presence of 10 μM fludarabine. Data are expressed as the mean ± SEM (n= 6). Differences between groups were determined by paired samples t-test. *P<0.05 compared with the control. Int Immunopharmacol, 2016, 36:199-204.. Fludarabine purchased from Selleck. After treated with Fludarabine or control, dexamethasone-sensitive (MM.1S) and -resistant (MM.1R) human MM cell lines, RPMI8226 and U266 cell lines (5 × 105 cells) are washed twice in phosphate-buffered saline (PBS) and fixed with 70% ice-cold ethanol, then centrifuged and suspended in PBS containing 100 μg/mL RNase A. After incubated for 30 minutes at 37 ºC, samples are resuspended in 25 μg/mL propidium iodide. Flow cytometry is performed on a FACSCalibur automated system. 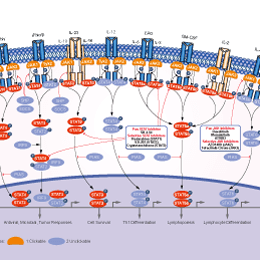 Apoptosis is determined by Annexin V-FITC apoptosis detection kit, according to the manufacturer's instructions. For TUNEL (terminal deoxynucleotidyl transferase-mediated deoxyuridine triphosphate nick end labeling) assay, cells are analyzed by flow cytometry using the in situ cell death detection kit. Meng H, et al. Eur J Haematol. 2007, 79(6), 486-493. Brachwitz H, et al. Bioorg Med Chem. 1999, 7(6), 1195-1200. Zaffaroni N, et al. Eur J Cancer. 1996, 32A(10), 1766-1773. Torella D, et al. Am J Physiol Heart Circ Physiol. 2007, 292(6), H2935-2943. how to re-suspend and deliver the inhibitor for in vivo experiments? For S1491, Fludarabine, we tested a vehicle: 30% Propylene glycol, 5% Tween 80, 65% D5W that you can resuspend the compound in at up to 30mg/ml. It's a suspension and can only be given via oral gavage.